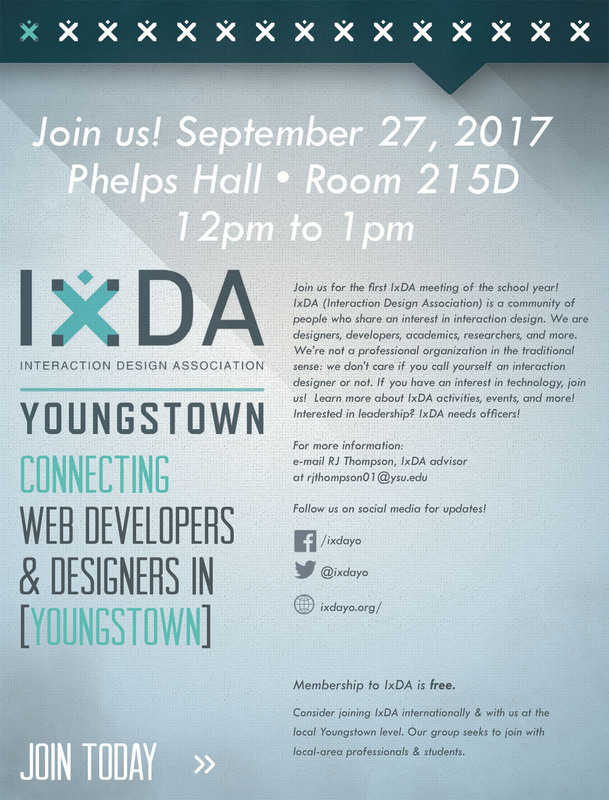 IxDA Youngstown is the 8th existing IxDA student group in the nation. IxDA is open to ALL students. Membership is COMPLETELY FREE. © 2016. College of Creative Arts & Communication and its licensors. All rights reserved.